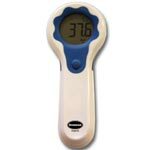 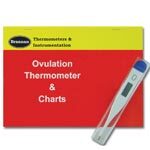 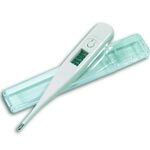 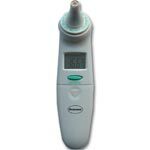 This stylish digital thermometer hygrometer has a clear large-scale display, minimum and maximum readings, 24hr time display and comfort level. 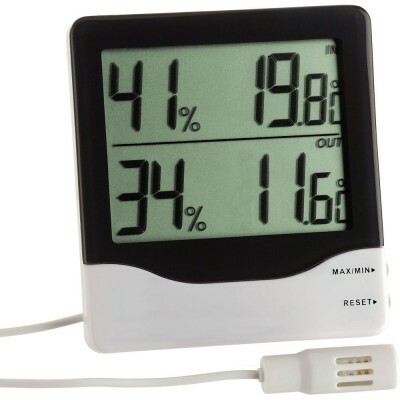 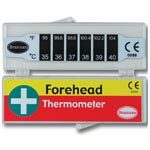 Free standing or wall mounted, this comes with a 1.5m cabled probe for measuring temperature and humidity outdoors. 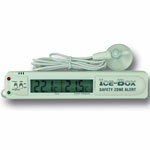 It is also capable of giving the days minimum and maximum readings.